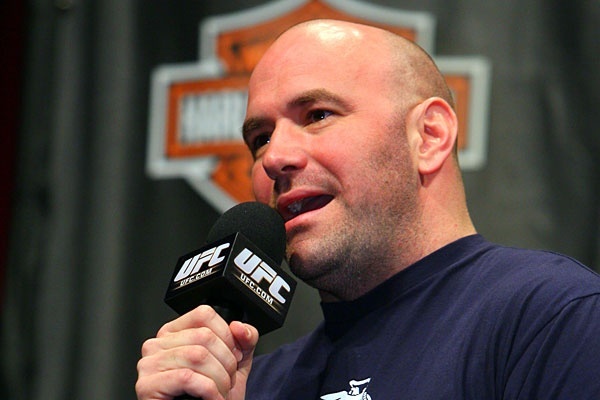 Was this part of Evil Dana’s plan to humiliate his main “competitor”? The Ultimate Fighter: Edgar vs. Penn debuted last night immediately following Fight Night. As we’ve seen before, the premier episode was full of fights whittling down the cast from 32 31 to 16, who will move into the house. Along with the typical good and bad performances, was a pot-shot I couldn’t resist mentioning—Dana White squashing Bellator on camera. One of the contestants was former Bellator welterweight champion, Lyman Good. In what appeared to be a blatant set up, Good was pitted against Ian Stephens in the preliminary bout. Stephens may or may not have been hand-picked to defeat Good, but White had plenty of time to drop a few cheap shots toward Bellator. Umm, really? Isn’t that why Jake Shields and Jon Fitch were released? Because they made EVERYONE in the UFC not be able to get up? I almost felt bad for Good, who came across as a sacrificial lamb in Dana’s contempt for Bellator. Even Stephens got into the ct by (loudly) proclaiming that there’s no room in the house for someone from Bellator. A dejected Good hung his head and walked out. If Good’s weakness is wrestling, then Stephens was a terrible “coincidence,” wasn’t he? Google the dude and you’ll see him in his singlet and a list of accolades—state champion, National champion, 2-time All-American, etc.